If Booster Gold had seven dollars and earned nine more, how many dollars does he have in all? Look! Up in the sky! It's Heroes in Crisis #5! I've already shown you the issue's awesome Clay Mann splash page featuring everyone's favorite color-coordinated buddy comedy duo, but today I can do better. 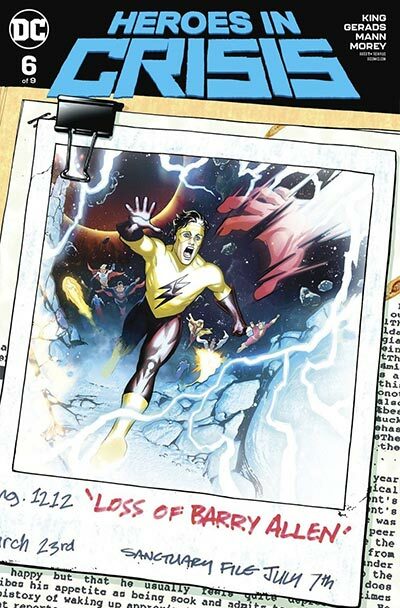 Check out the issue preview at Newsarama.com to read Booster's genius plan to get access to the evidence that has so far stumped both Batman and the Flash. The Sanctuary Killer doesn't stand a chance against the combined mental might of Blue and Gold! I was happy for that. Gives more credence to Boosters intellect which has been questionable under Kings pen thus far. Fun stuff though, always up for some Blue and Gold action. I like the way you think, Frankie. I think as a result of time travel fatigue, and Batman suicide in front of him -- Booster has remembered Pre-Flashpoint Ted to balance his mind. It's all in his head. He's not the killer --. It he's not well, either. I was kinda thinking that too. And the fact Ted is never seen when others are around. Only with Booster. And even if the JL talk about Ted helping build the Hall of Justice doesn't mean he's alive currently. Could just mean its how Booster knew to escape, the two talking about it. Though honestly him tackling this and having to use his best bud in memory only is quite sad. The only thing making me think he is real, is hall of justice was rebuilt recently after Metal and Rebirth Blue Beetle series. If you owned eight Booster Gold comics and then bought nine more, how many total comics do you have? You’ve seen all the clues. You’ve heard the testimony and eavesdropped on the secret confessions of the World’s Greatest Super Heroes. Now, with the killer revealed, it's time to find out why. What could have driven a hero to the brink, to turn a savior into a murderer? Rifts will form between old allies, and the trinity of Wonder Woman, Superman and Batman will have their leadership challenged and will question their own judgment. Sanctuary has become something they never imagined…and it's still potentially carrying on without them! 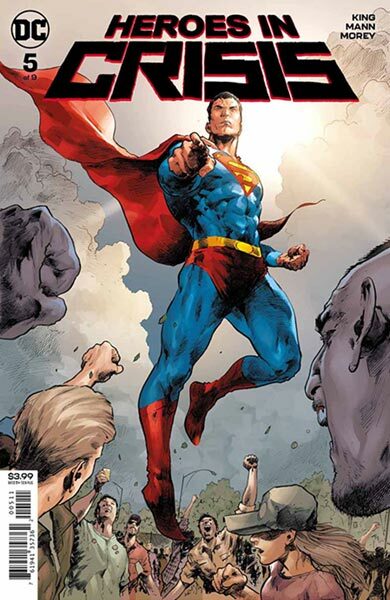 Though this solicitation text makes Heroes in Crisis #8 sound like the final issue, there will be a ninth issues in this mini-series. Could May bring us a surprise twist ending? Will Booster Gold see dead people? We'll find out when we get there. 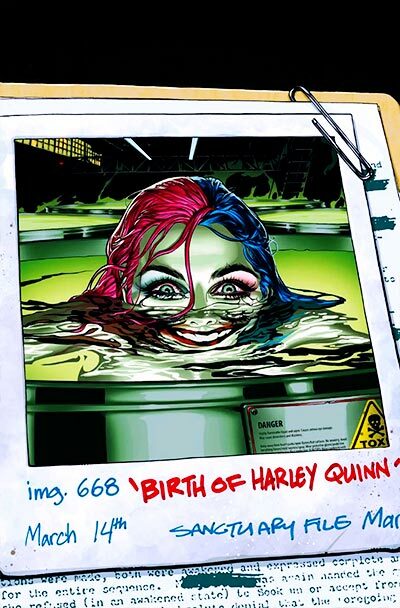 In the meantime, you can find all of DC's April solicitations at Newsarama.com. Booster got a namedrop in Naomi this week. If Booster Gold stole three super powers and then stole six more, how many super powers has he taken in all? 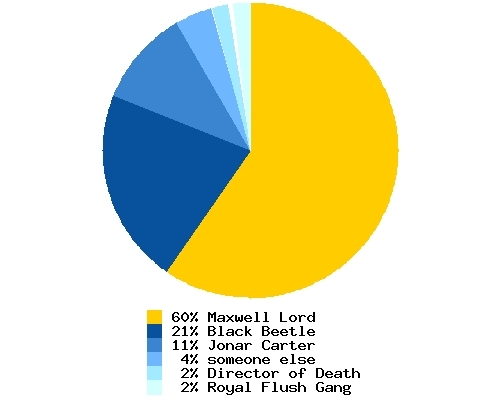 Max Lord is the big "winner" receiving a clear majority of the vote, so I feel comfortable declaring him Booster Gold's arch nemesis, Rebirth continuity be damned! 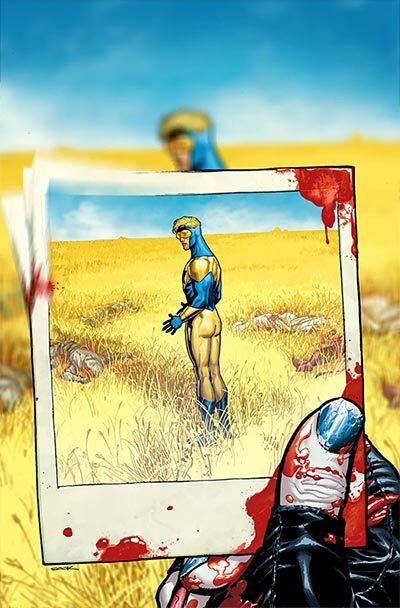 While we're on the subject of villains, someone has been making Booster Gold's life miserable recently in the pages of Heroes in Crisis. (We all agree Booster is innocent, right? Right.) The identity of the real culprit has been the subject of much debate recently as the series nears its halfway point. One popular Internet theory is that the real villain is Skeets. 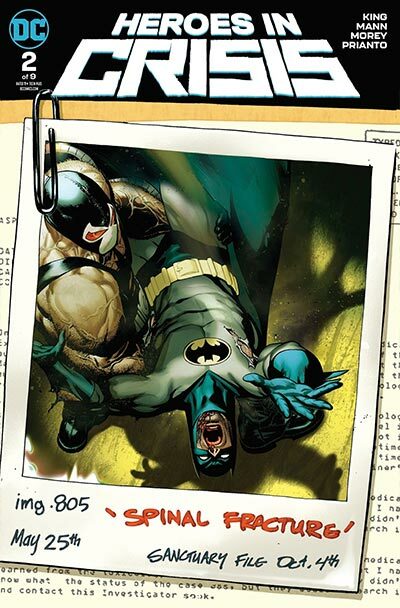 This is mostly based on one panel in Batman #50 that remains unexplained. 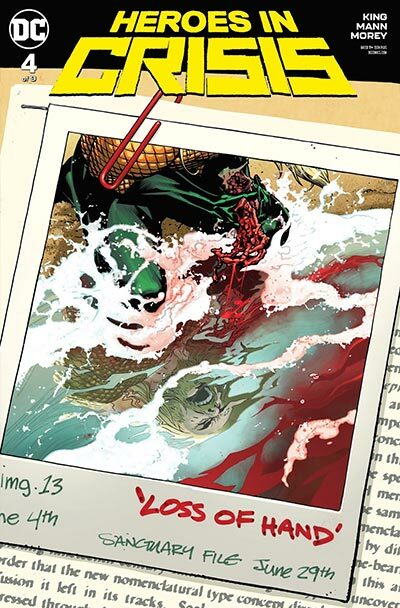 The link between these two stories is writer Tom King. 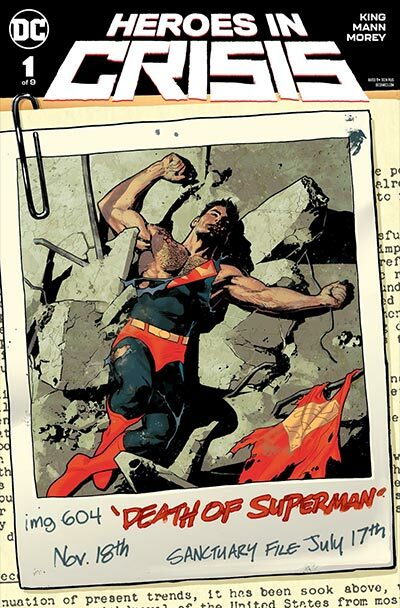 Could he have been dropping Heroes in Crisis clues in Batman? I doubt it. I just can't believe that he'd crib so blatantly from 52. 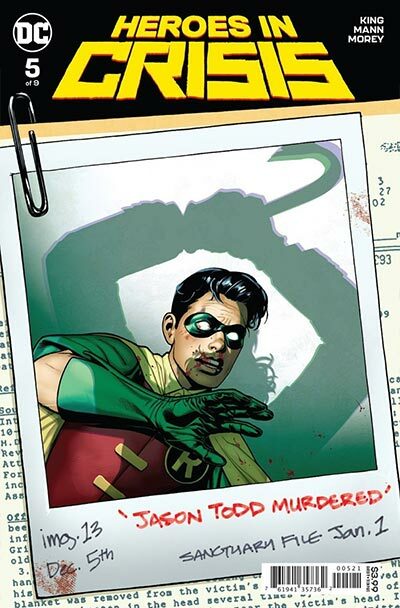 Personally, I've decided that there aren't really any murders in Heroes in Crisis. I think it's all just one ongoing computer simulation designed to.... Well, I'm not sure what it's designed to do. Unfortunately, no one can be told what the matrix is. We'll all have to see it for ourselves. 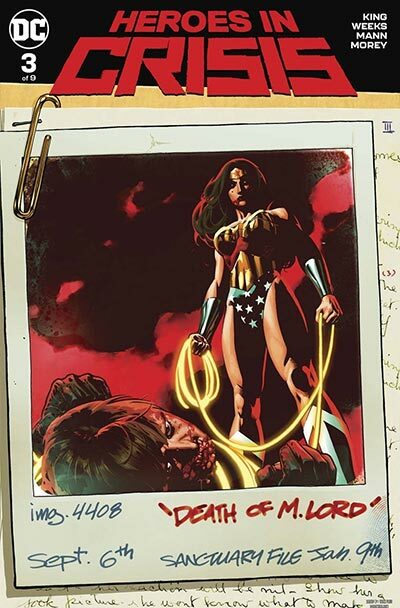 If you need some evidence to support your pet theory, Vaneta Rogers put together a list of the clues at Newsarama.com. Take a look and see if you can't solve these crimes before Booster Gold does. My vote was for someone else and it was for Mr. Mind. Ooh! He should have been one of the possibilities. I just had to get down to 6 options, and I assumed he'd get the fewest votes because of his association with Captain Marvel. But he certainly deserves consideration. Yeah, since my real introduction to Booster was Infinite Crisis and 52 (I was late to the party, only started collecting comics in my late teens in the early 2000's) and that Mr Mind reveal hooked me. If Booster Gold travleled forward in time six years and then traveled back three years, how many years forward is he now?